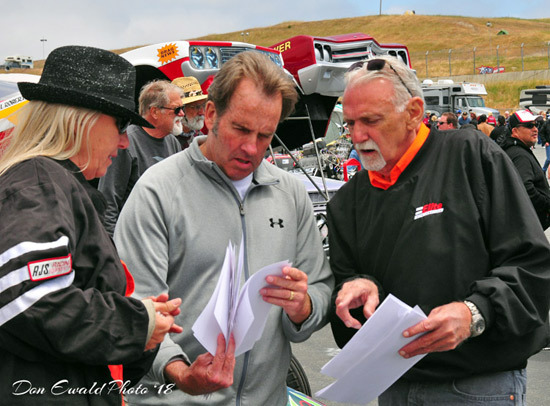 Connie Braun, Dunn and Miller getting ready for the Line of Fire. 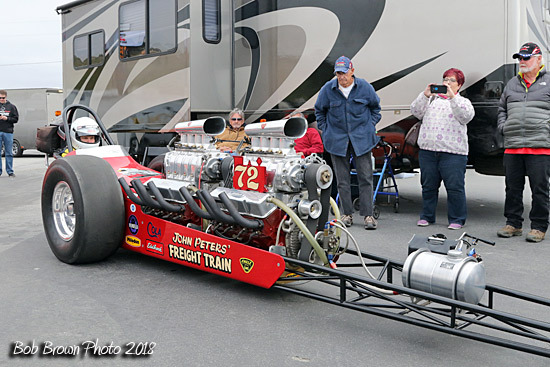 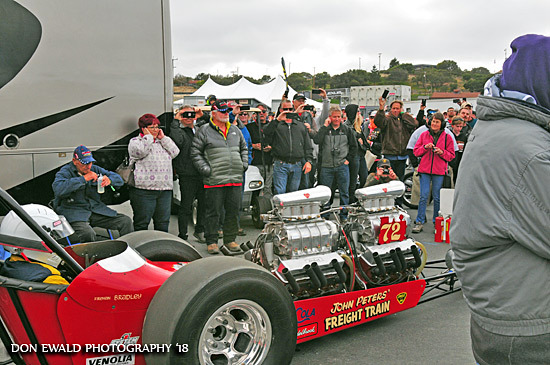 First to fire was John Peters's Freight Train. 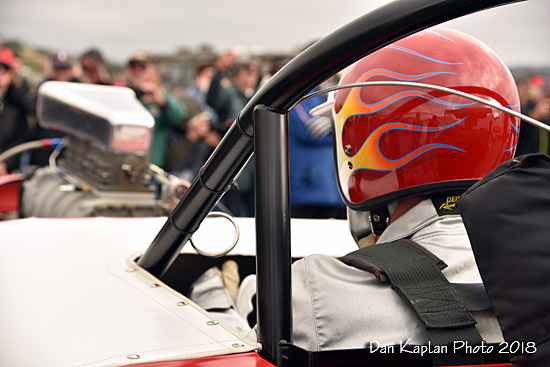 Son Brad was in the seat. 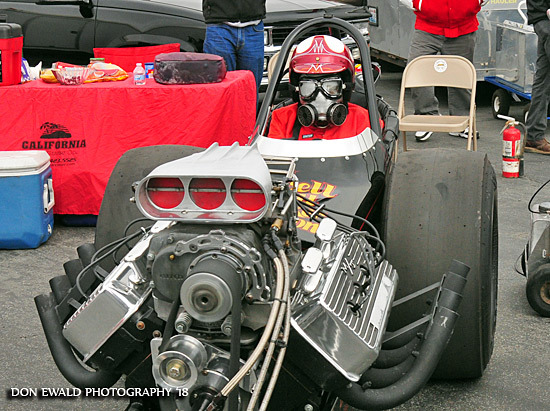 From there Gibbs just moved on down the row having cars fire about 30 seconds apart. 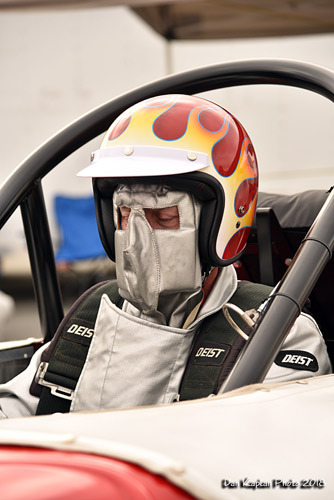 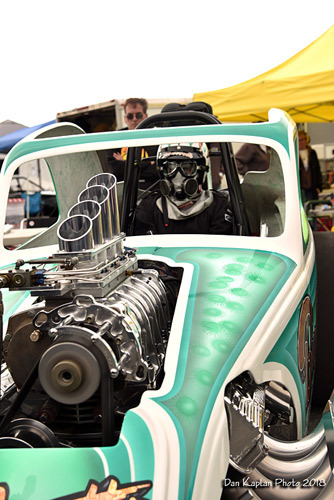 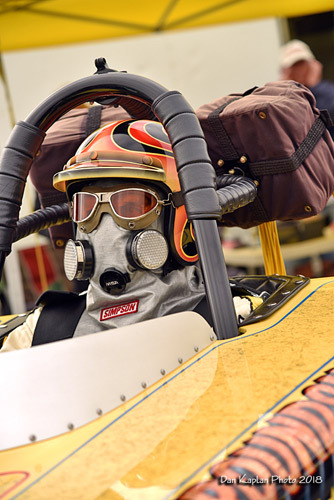 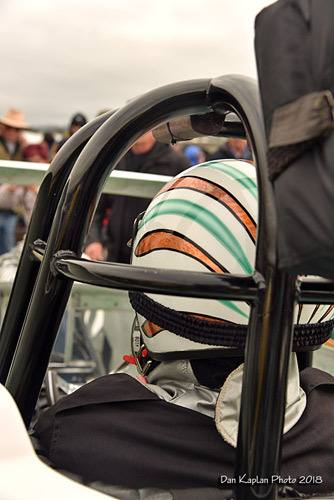 Bob Lawson in the seat of Allen Bridges' Bounty Hunter. 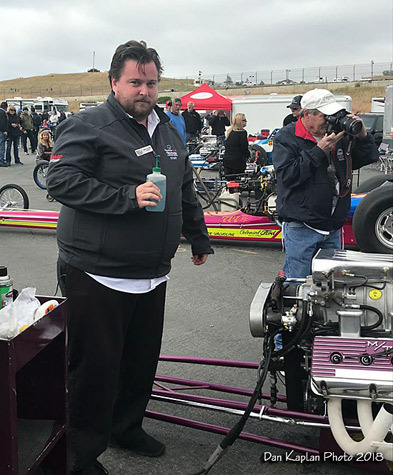 Since Joe Schubeck is standing outside the car, no ID on driver. 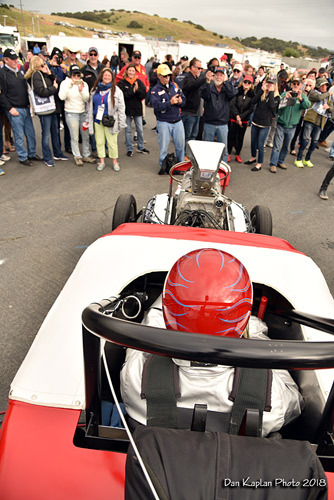 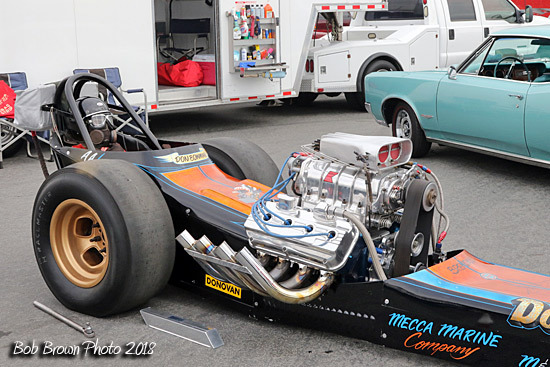 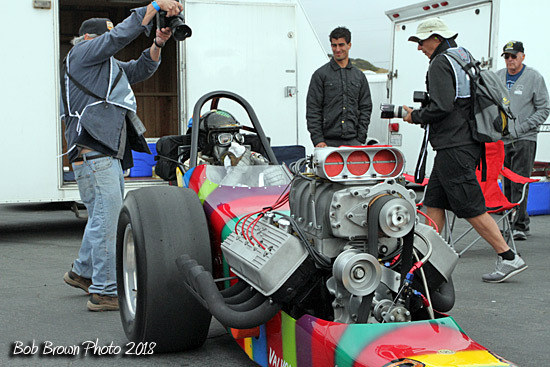 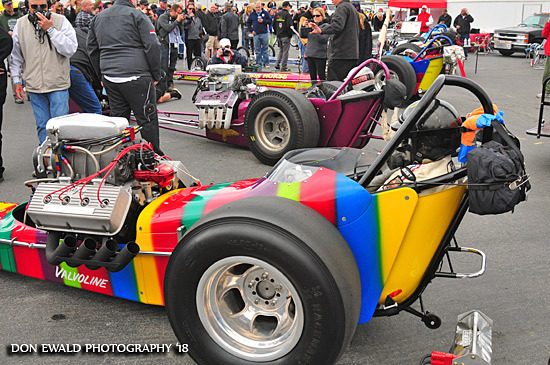 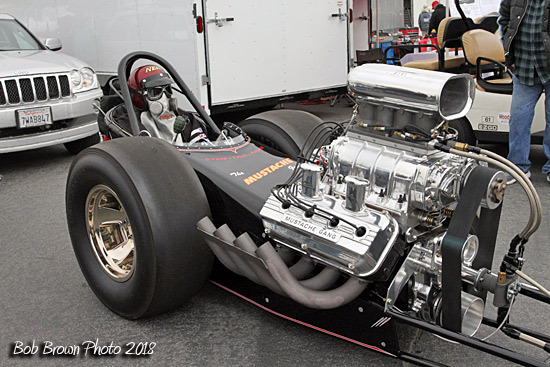 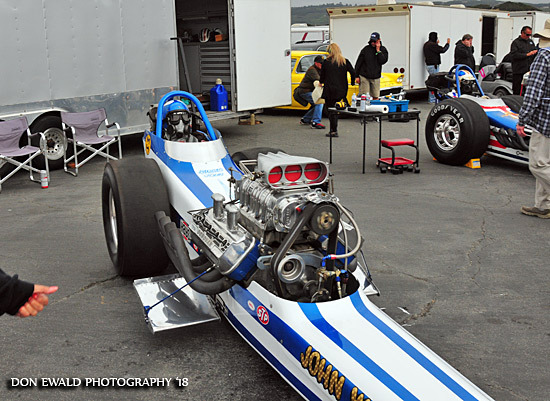 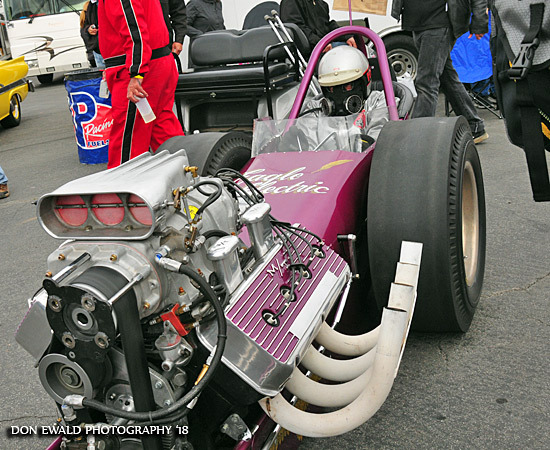 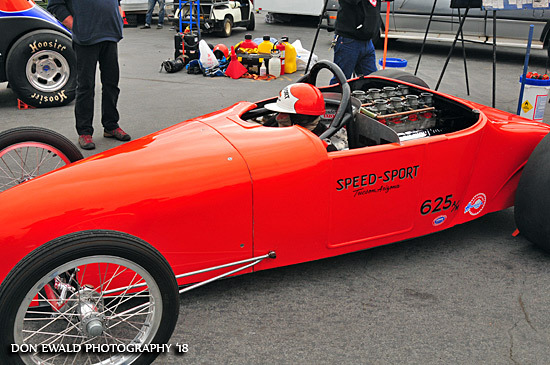 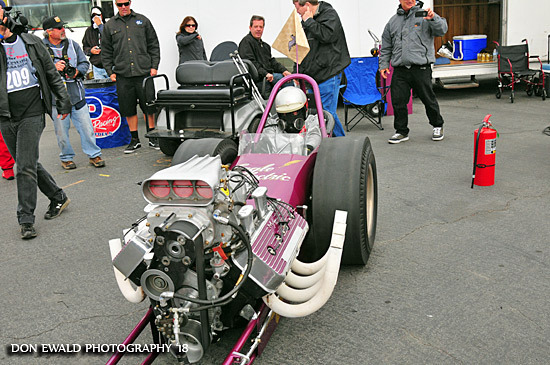 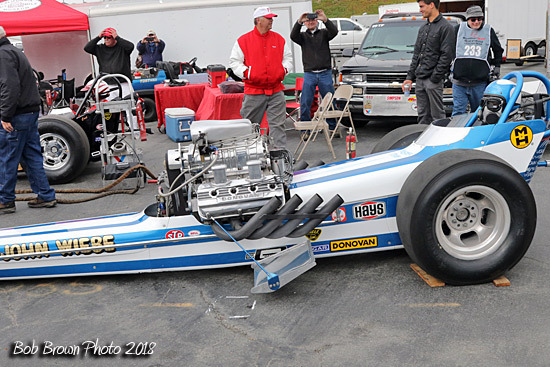 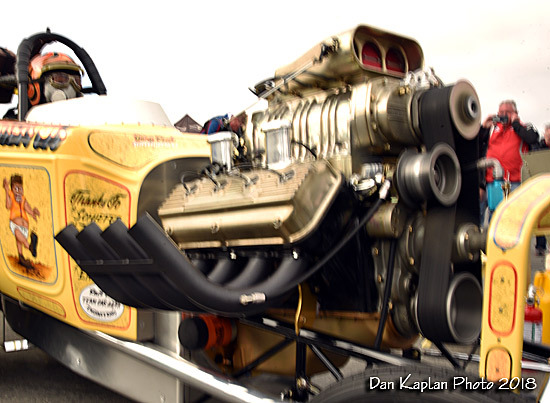 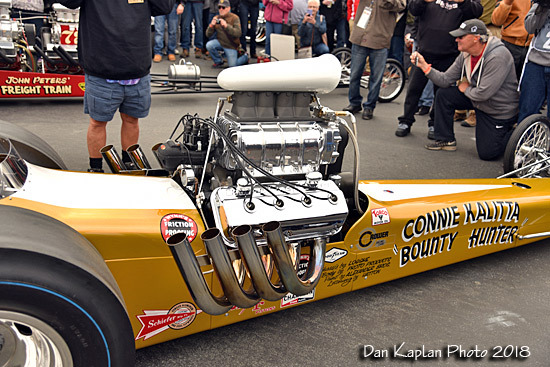 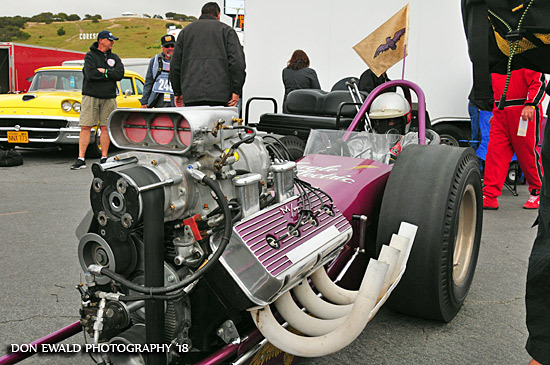 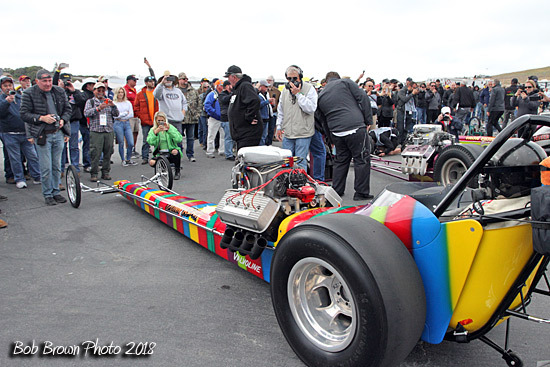 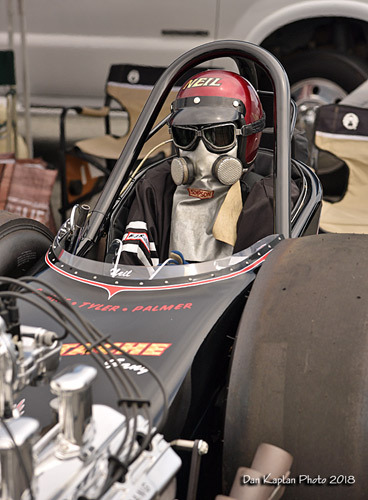 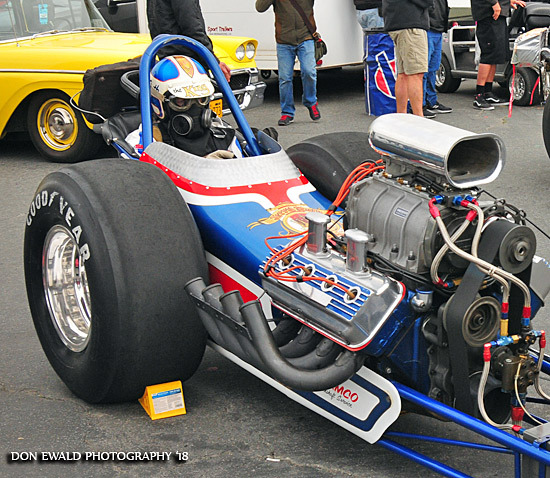 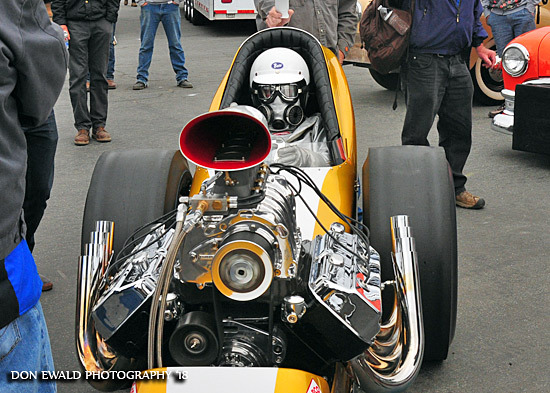 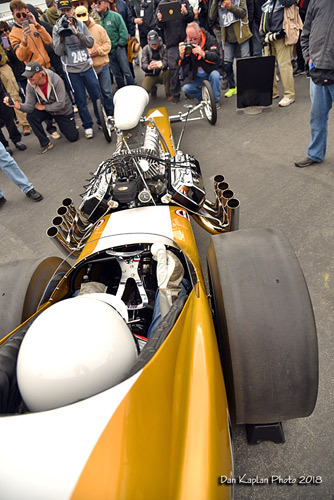 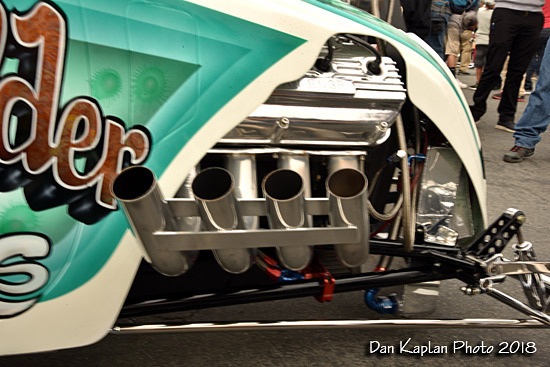 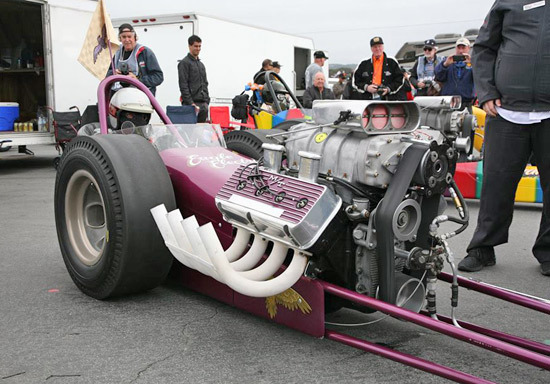 John Neas and Harry Hibler made more noise in the Dunn & Reath car. 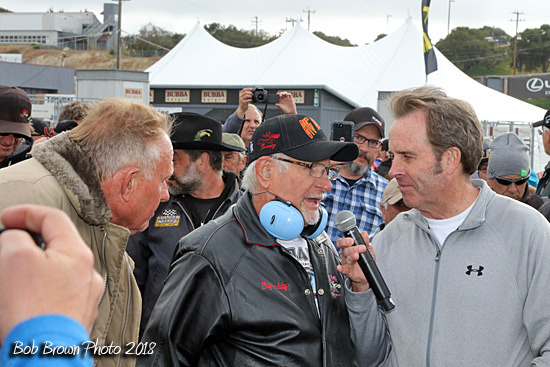 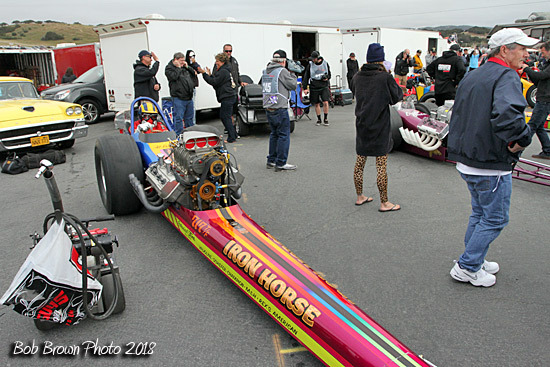 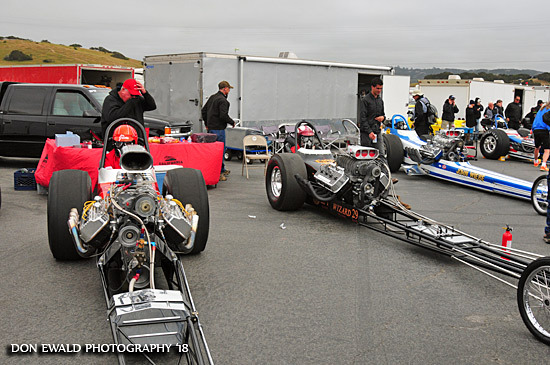 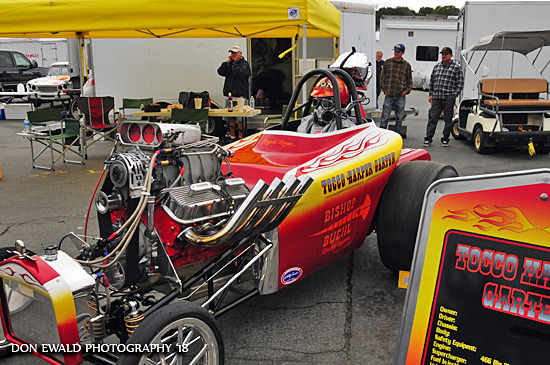 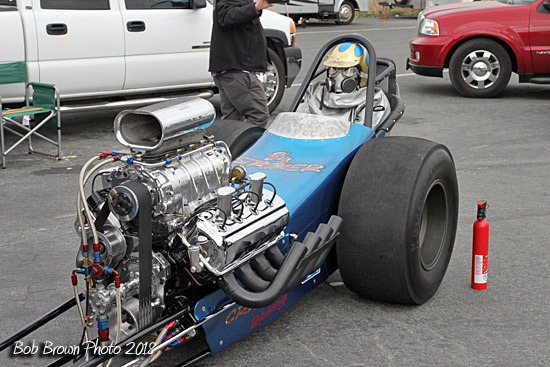 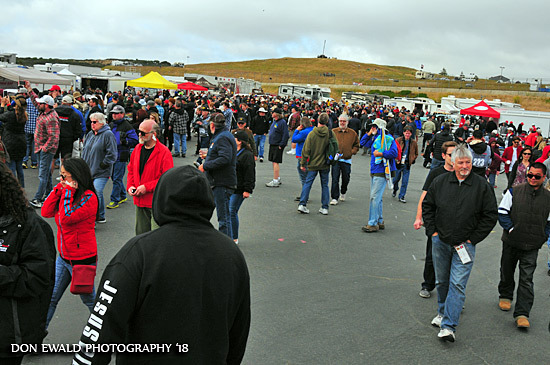 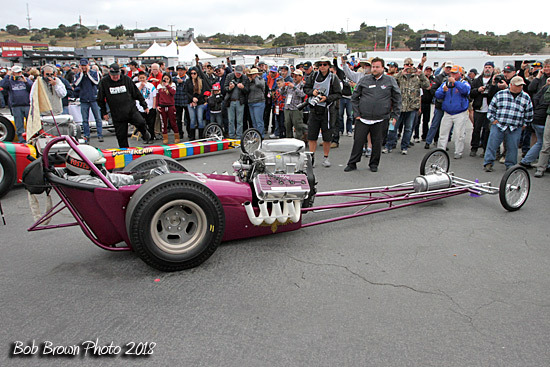 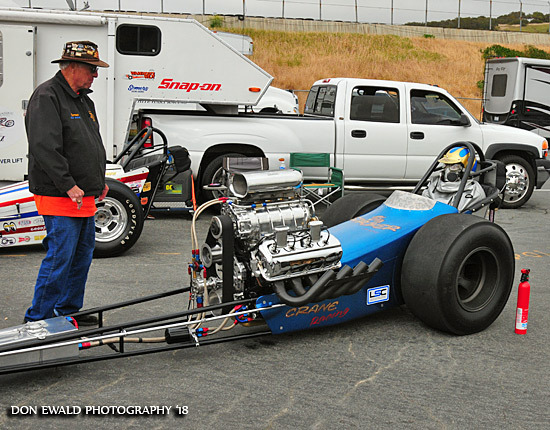 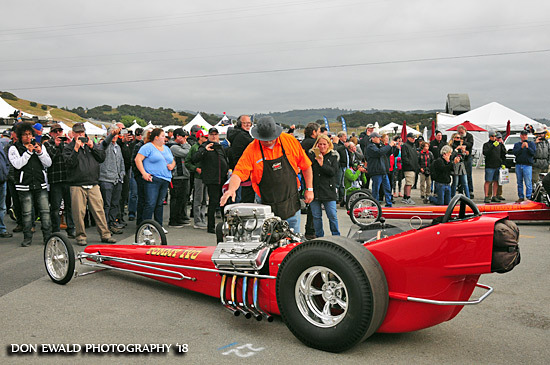 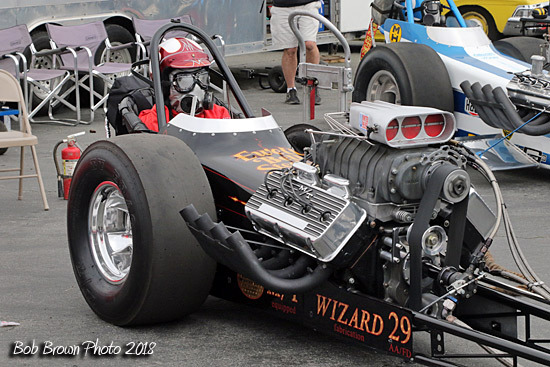 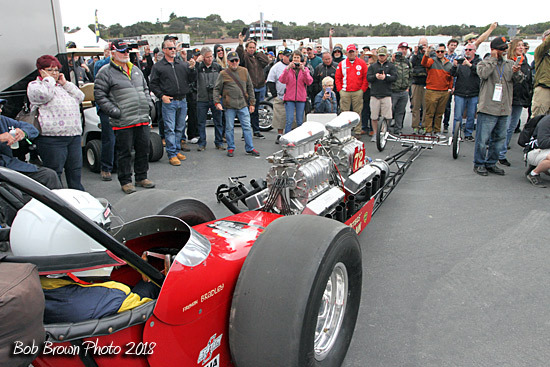 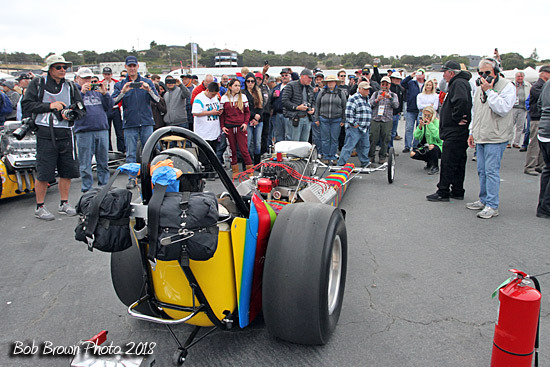 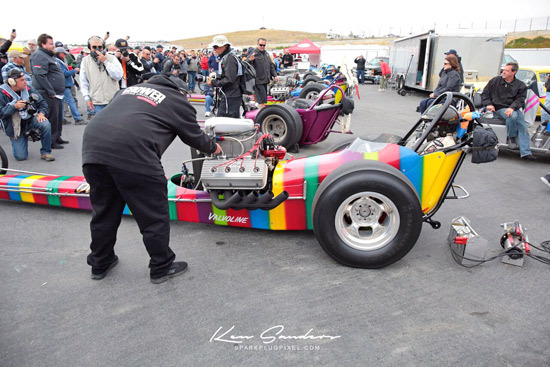 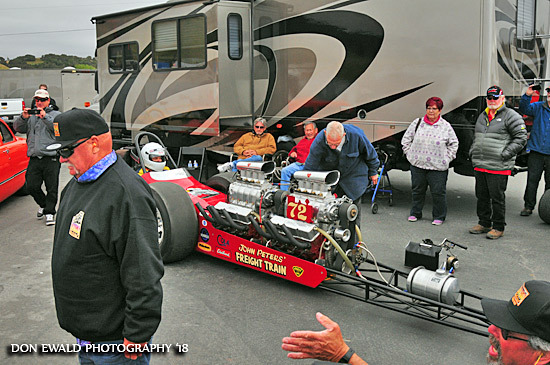 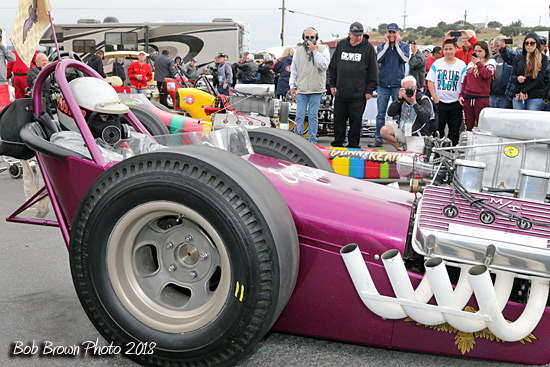 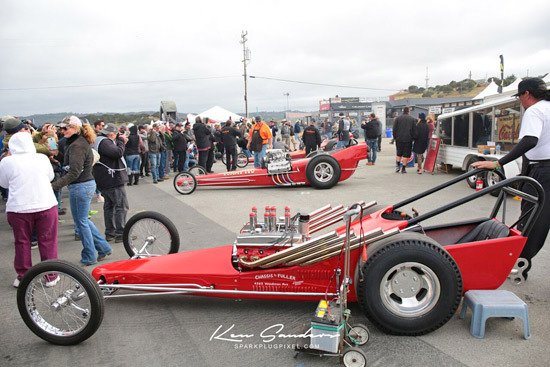 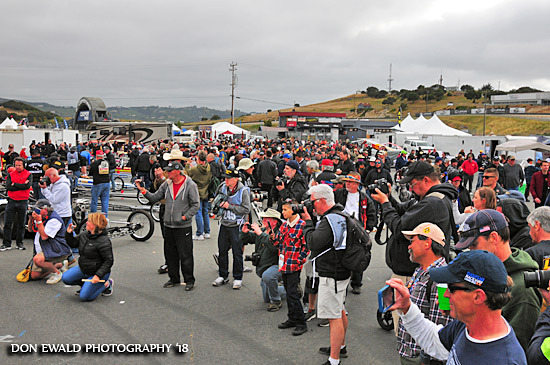 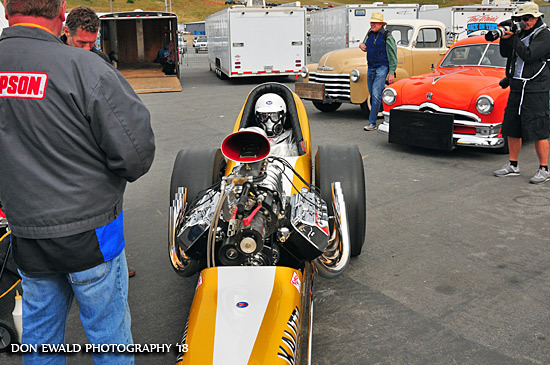 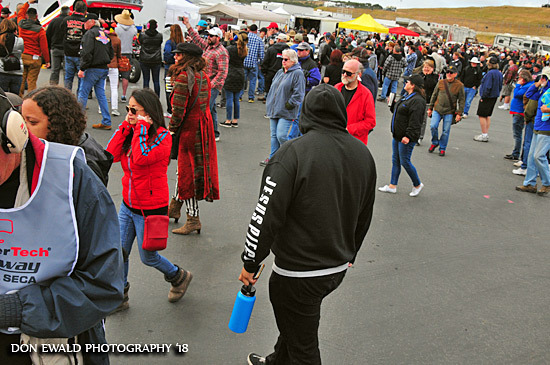 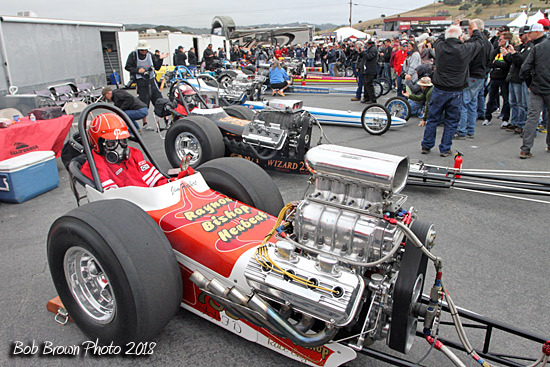 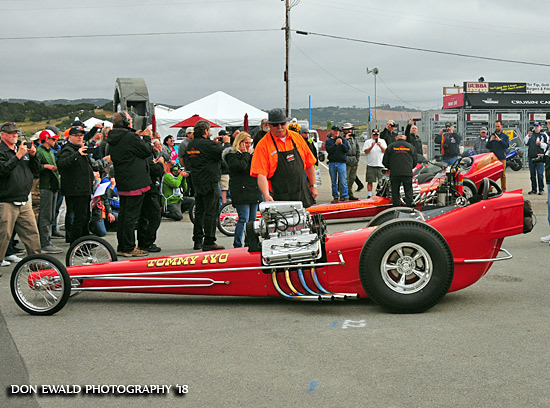 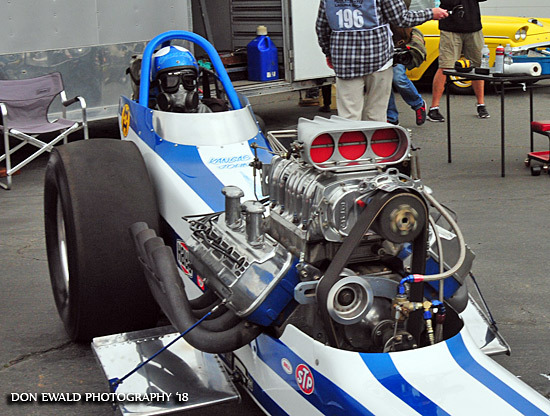 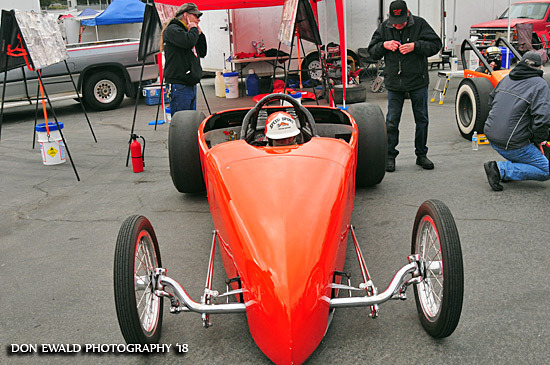 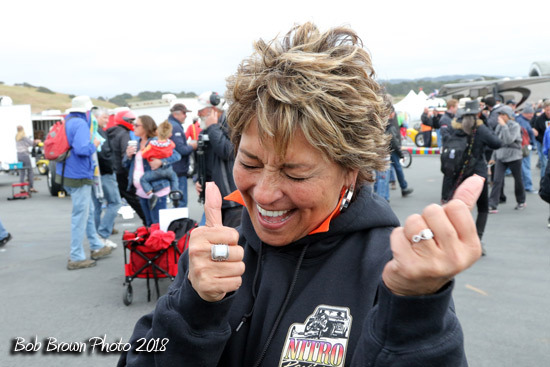 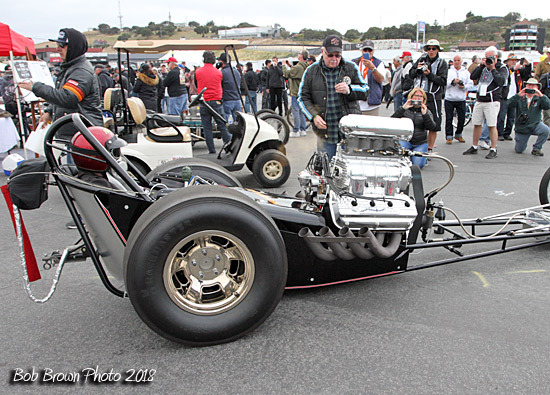 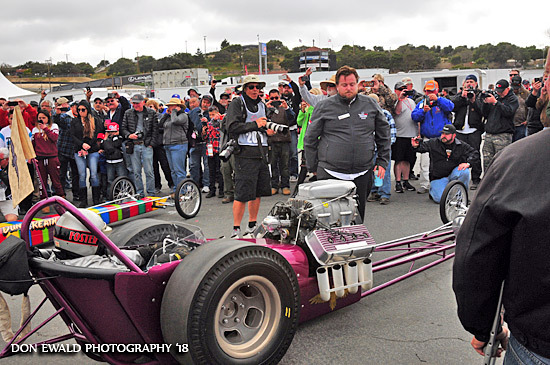 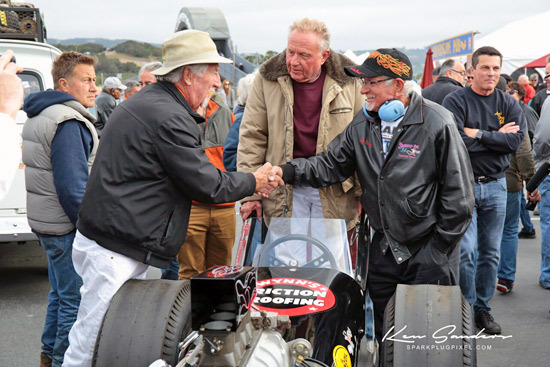 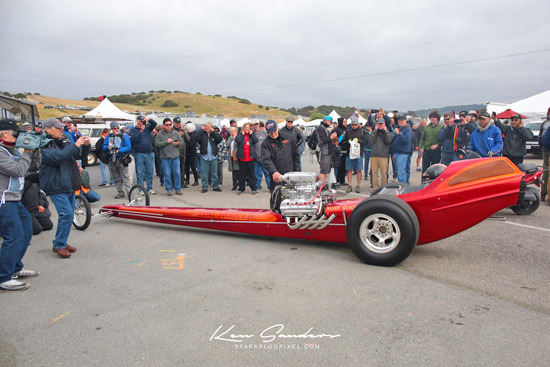 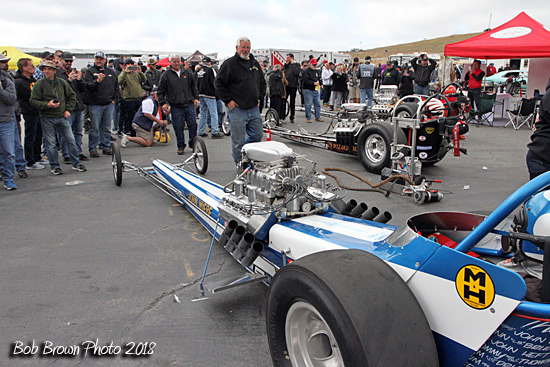 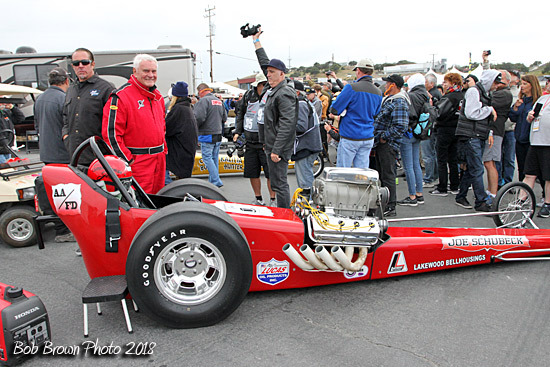 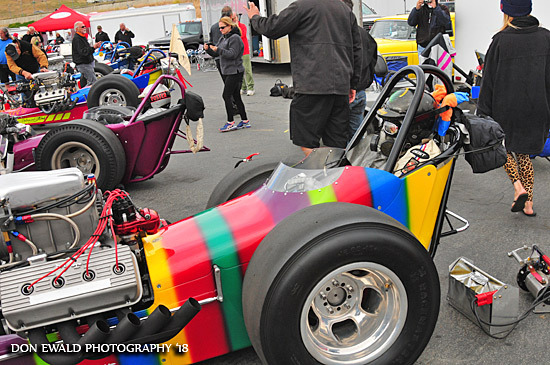 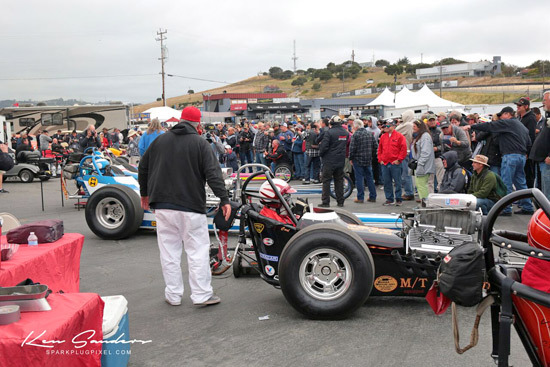 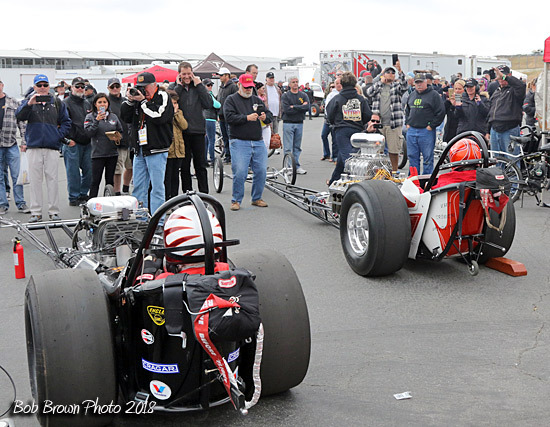 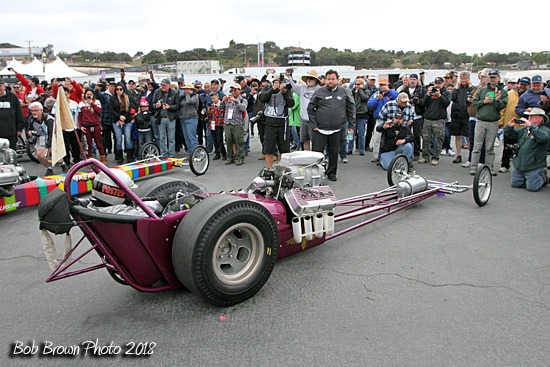 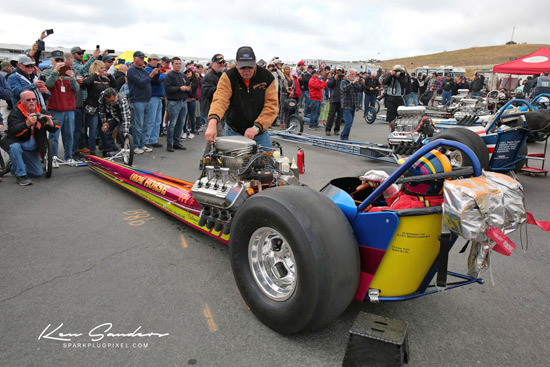 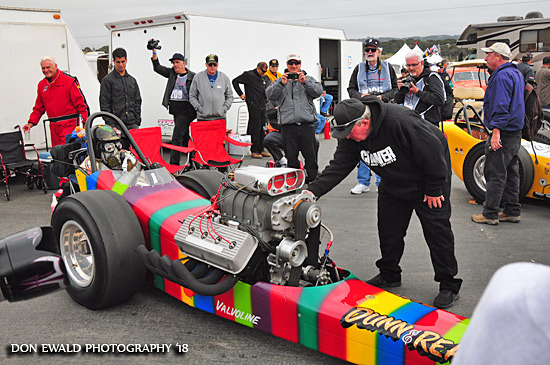 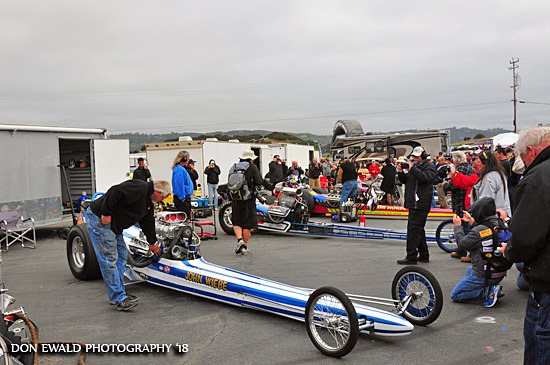 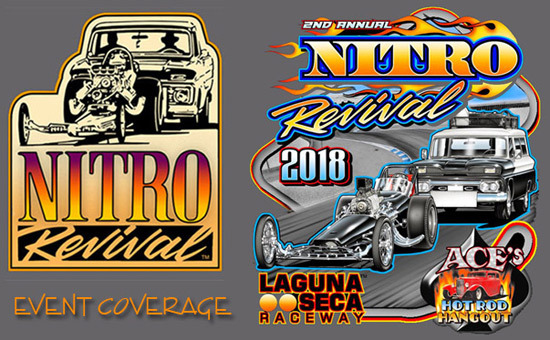 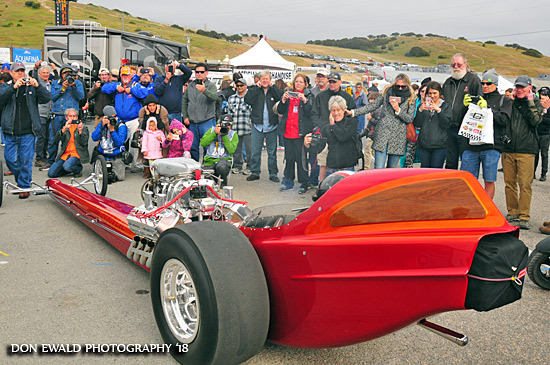 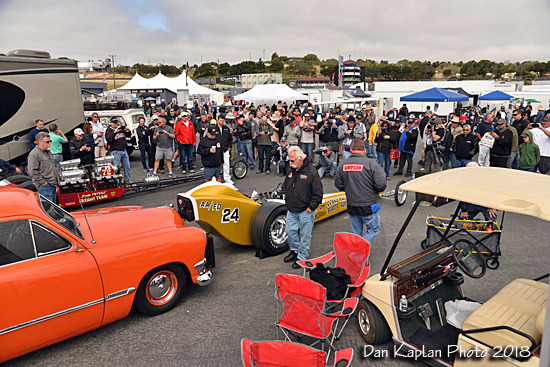 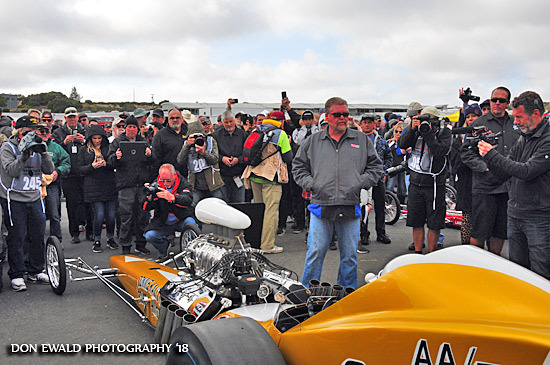 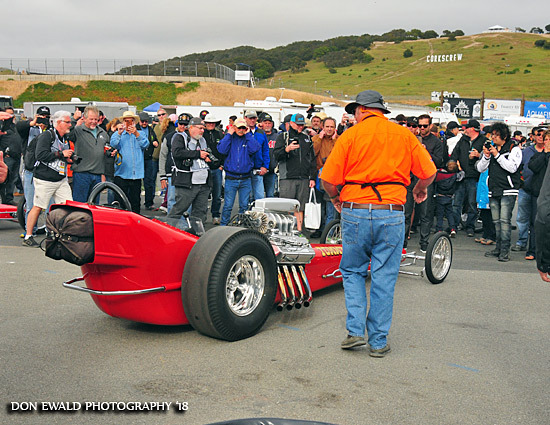 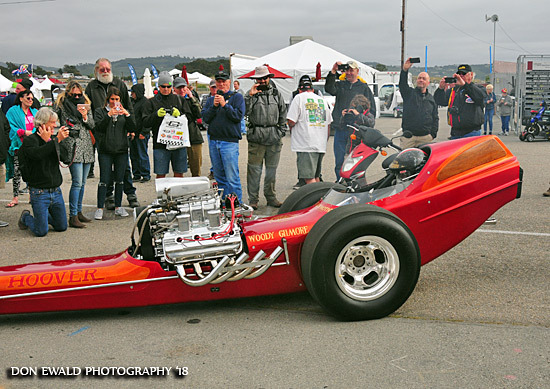 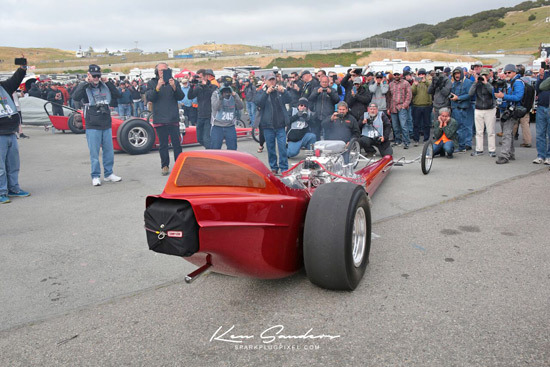 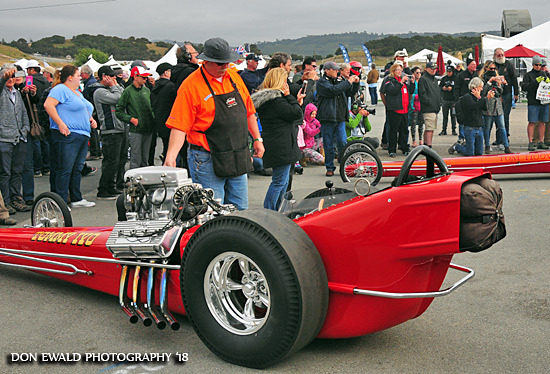 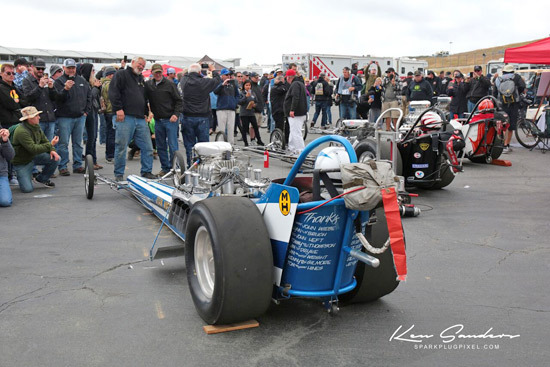 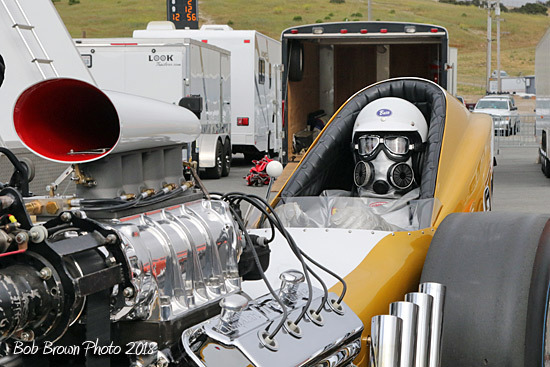 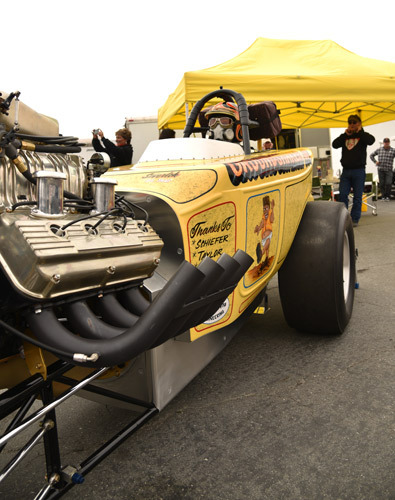 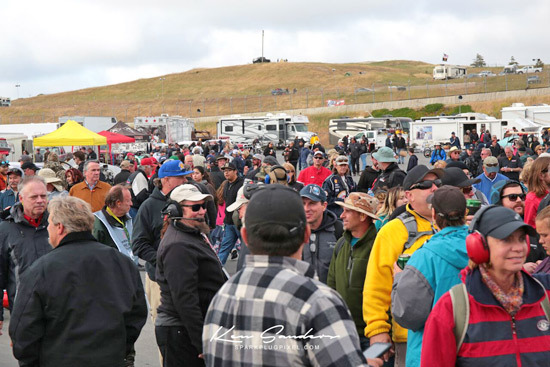 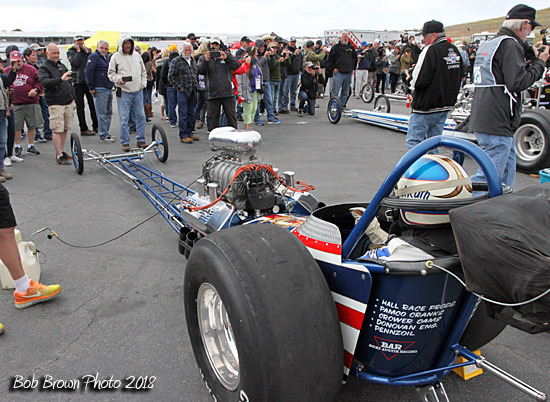 Laguna Seca Public Relations Manager Brad Littlefield wore another hat for the Line of Fire. 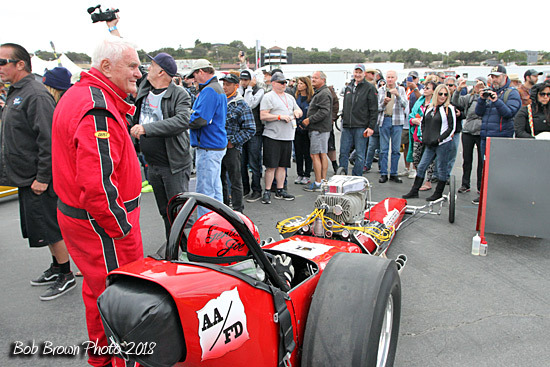 He was helping out his good friend Jason Rupert and the Eagle Electric car. 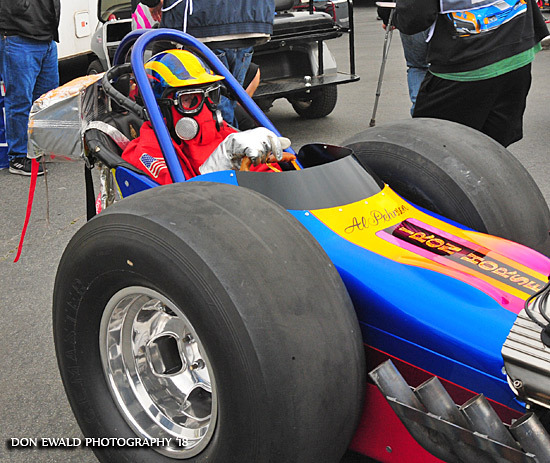 Cole Foster, son of Pat, was in the Frank Rupert fueler. 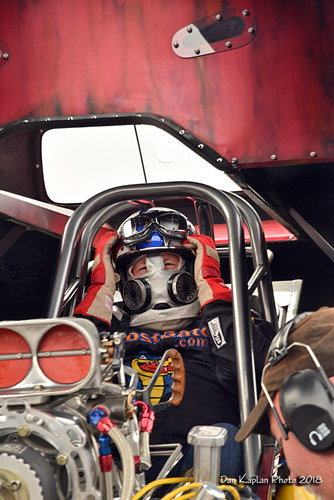 Sam Chastain back in the seat of his Iron Horse. 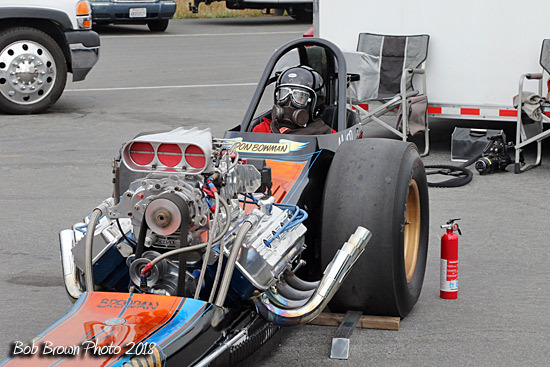 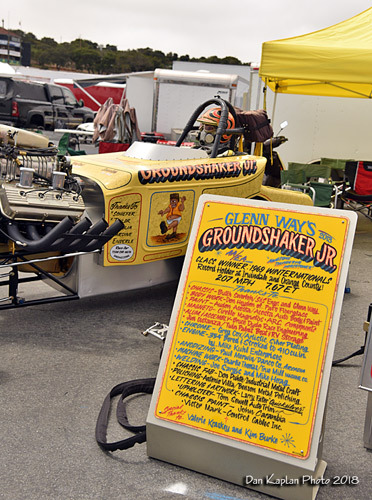 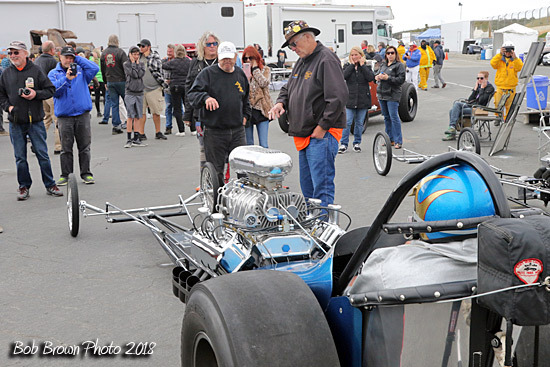 Owner Don Love overseeing his car thumpin' the ground. 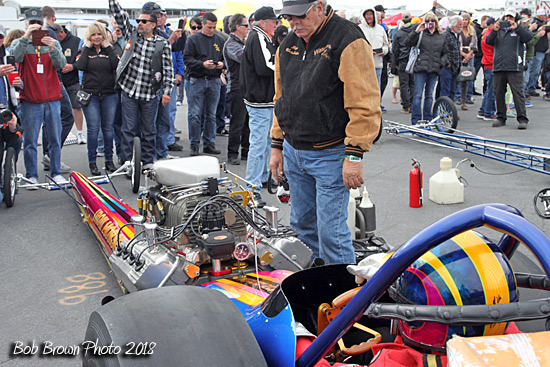 Co-Owner John Kiley doing some ear protection in the background. 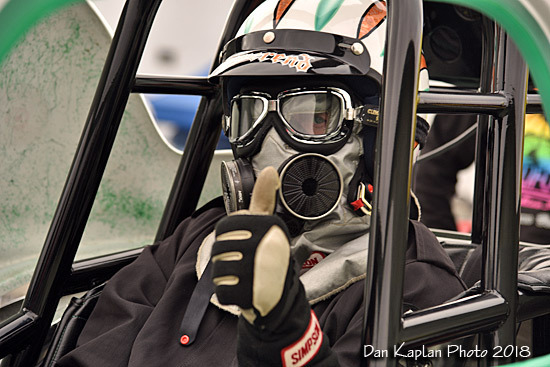 "Moustache Gang" with Mike Smith getting the fire-up. 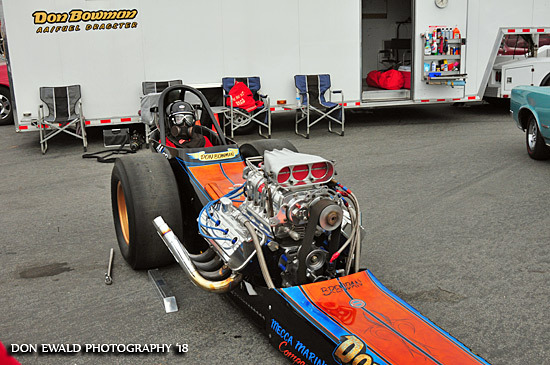 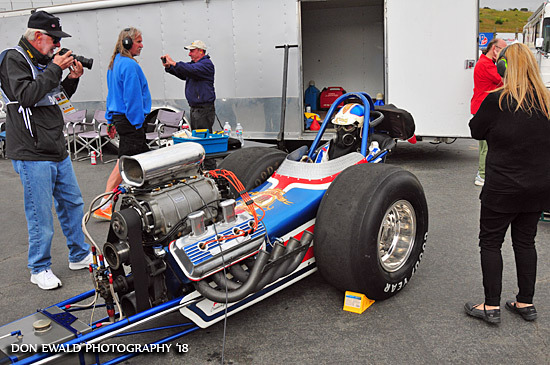 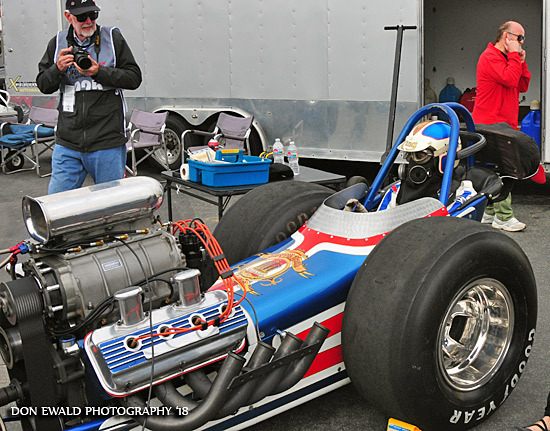 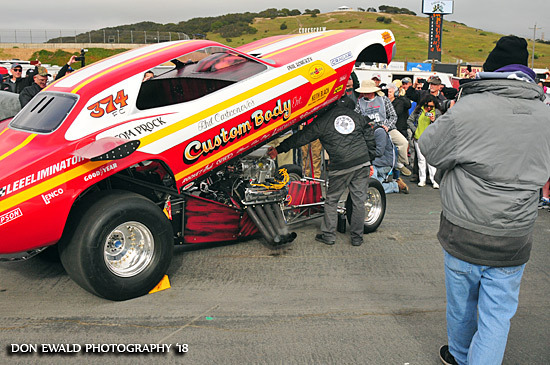 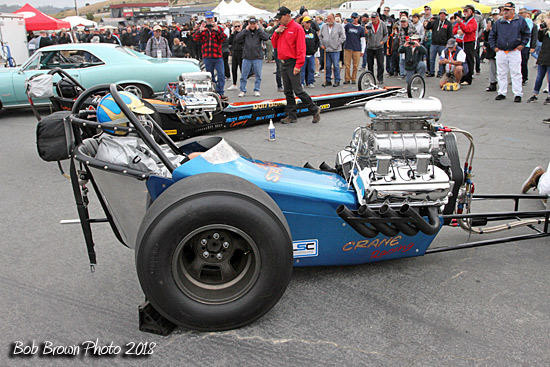 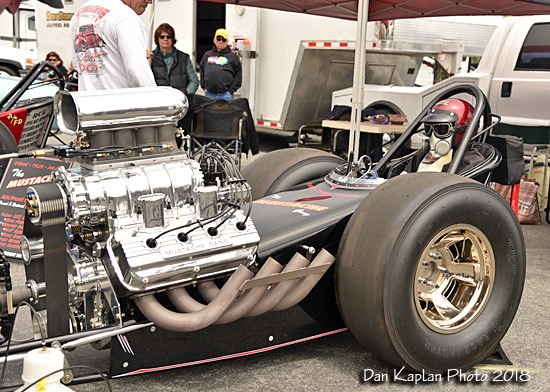 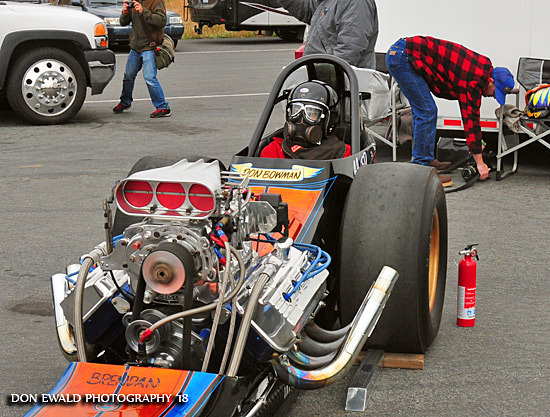 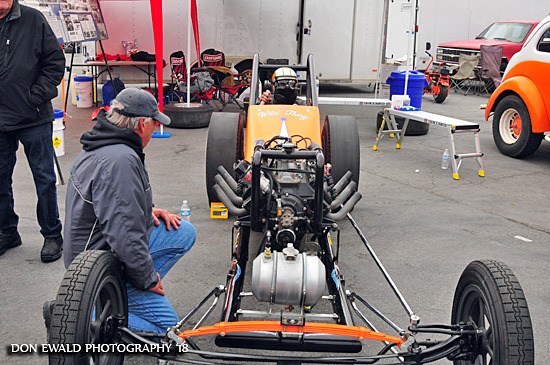 Herm Petersen oversees Brett Crane in the Big Stroker. 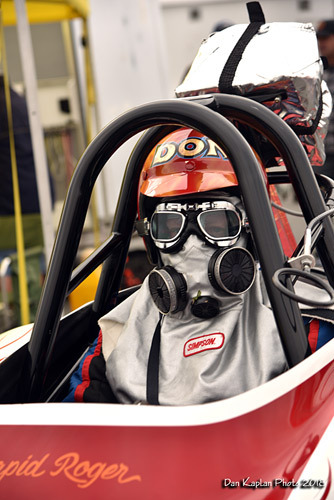 Don Cooper in the Tocco-Harper-Garten AA/FA. 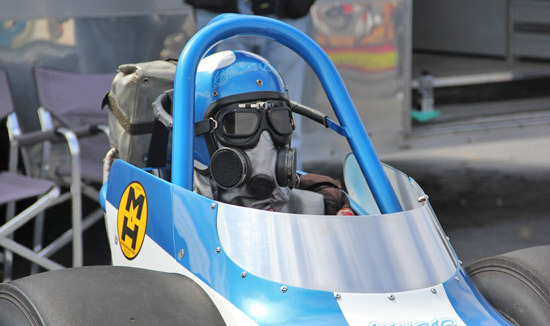 Robert Reel in the Burkholder Bros. AA/FA. 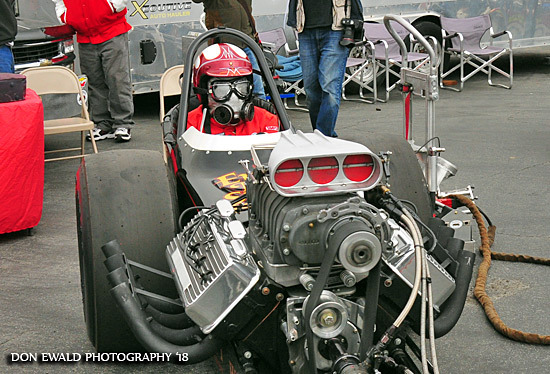 Boyd Penington "Smog Rat" AA/FA with Ron Penington. 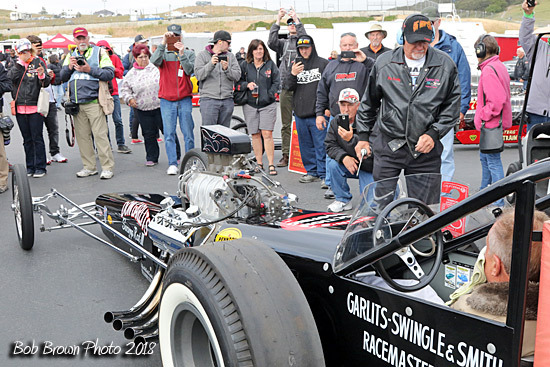 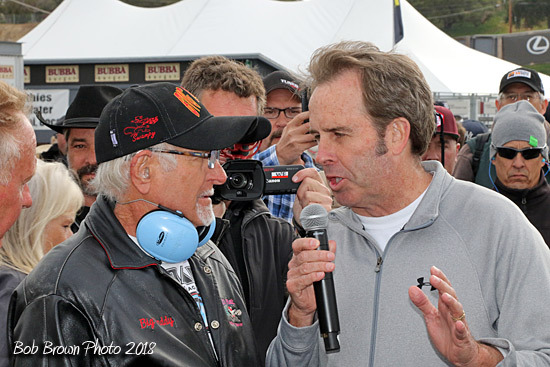 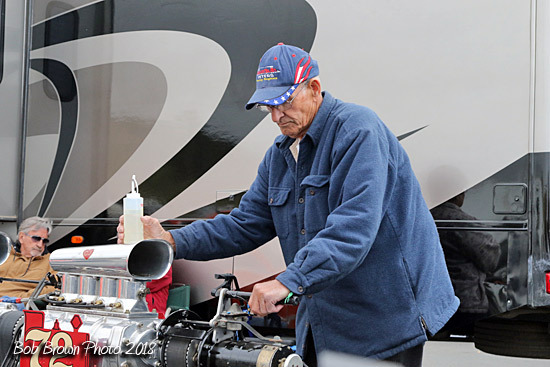 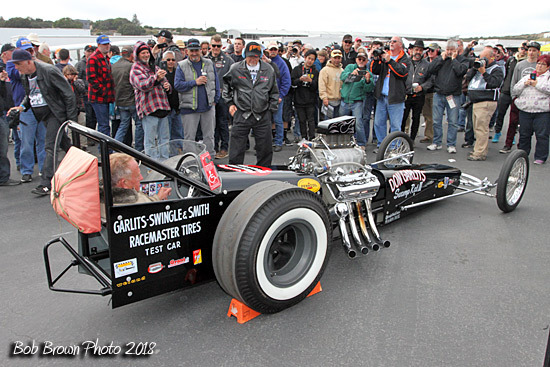 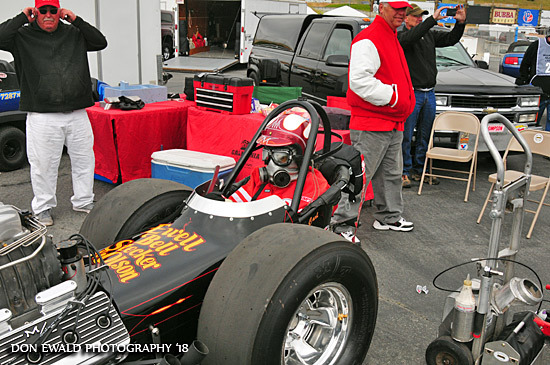 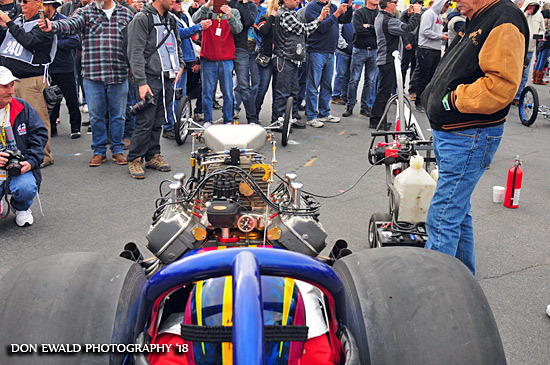 When the rumble subsided, Mike Dunn interviewed Garlits for the fans.